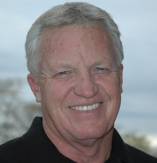 Coach Westenhaver is a veteran of over 35 years in the football business. John has coached at the collegiate level at Kansas State University, West Virginia University, Waynesburg University and as the head coach at his alma mater West Liberty State and at the professional level with the Washington Federals, Pittsburgh Maulers [USFL] the Buffalo Bills, San Diego Chargers, and Pittsburgh Total Scouting [A division of the Pittsburgh Steelers]. John is highly respected as a teacher of football skills, as a scout and is nationally known as one of the top quarterback developers and football talent evaluators in the game. He has been a part of four professional leagues: a scout with the Washington Federals and as head scout and director of player personnel for the Pittsburgh Maulers; a guest coach with the Saskatchewan Roughriders of the CFL; a talent evaluator for the newly formed Arena Football League with the Pittsburgh Gladiators; a scout with the Buffalo Bills, San Diego Chargers, and head scout for Pittsburgh Total Scouting (a division of the Pittsburgh Steelers). John has also served as the director of player evaluation for Sterling Sports Management; consultant to NFL Films regarding QB evaluations; and conducts one-on-one training of players especially quarterbacks. He has placed several of his students on NFL rosters and trains prospective players preparing for the NFL draft through St. Vincent Sports Performance Center in Indianapolis. John is a member of the NFL Alumni, NFLPA, USFL Alumni, and The American Football Coaches Association and holds BA and MS degrees in Education. A coach, recruiting coordinator, offensive coordinator, defensive coordinator, scout, talent evaluator, personal player developer, combine coordinator, radio and TV color commentator motivational speaker; John has done just about everything there is to do in the football world. John counts among his mentors such football luminaries as Bobby Bowden, R.C. Slocum, Vince Gibson, Paul Brown, Art Rooney Jr, and Larry Coyer.